Pictured at right is the lineup of ribbon microphones in our shootout. A few mics didn’t make the photo, for various reasons: the AEA R84, the RCA KU-3A/10001, and Ryan Canestro’s Apex 210. Following is a brief introduction to the individual microphones we tried. Follow the links for additional descriptions, photos, specs, and “where to buy” links. The AEA KU4 was one of two unidirectional ribbons in this test. It was modeled after the other non-bidirectional ribbon here, the RCA KU-3A/10001. The AEA R44C was the heaviest, most monumental microphone in the lineup. Ours was the R44CX, which has higher output (and if I had to guess, another 2 lbs of weight just for good measure). The AEA R84 is sort of a lightweight R44, with the same long-geometry ribbon but a different magnet structure. This mic gets frequent use at the Disney Character Voices studio. The AEA R92 was designed with reduced proxmity effect, enabling it to be used as a close mic without excessive bass buildup. Ryan’s Apex Electronics 210 was the only “modded” mic in this lineup. He’d swapped the stock transformer for a Lundahl, and upgraded the wiring to Mogami. Audio-Technica AT4080 is the larger and quieter of the two active A-T ribbons (the other being the AT4081). The beyerdynamic M 130 was the smallest microphone in the lineup. It has the shortest ribbon of the bunch too, measuring less than one inch in length. The Blue Microphones Woodpecker is an active ribbon mic with Blue’s distinctive visual styling, and a distinctive, arguably non-ribbon-like sound. The Cascade Microphones Fat Head II had a Lundahl transformer, supplied by Cascade. The Cascade Microphones VIN-JET also had a Lundahl transformer upgrade. It uses a long-geometry ribbon like the ShinyBox 46U (presumably) and the AEA R44 and R84. Cloud Microphones JRS-34 was designed by Stephen Sank, son of the RCA BK-11’s inventor, Jon R. Sank — for whom this microphone is named. The JRS-34 is available in active or passive styles; ours was passive. The Coles Electroacoustics 4038 shared the title for “scariest magnets.” This mic picked up stray wrenches, metal washers, and other nearby microphones. The Coles Electroacoustics 4050 was the most versatile mic in the lineup, in that it is a separable stereo pair with a unique magnetic mounting system. The Karma Audio K6 was the least expensive active ribbon mic in this test (street price ~$200). The RCA KU-3A, aka the “10001,” is a rare and cherished vintage mic from the 1940s, still in weekly use by voice actors who seek to emulate the sound of old animations and movie sets. The Royer Labs R-101 is Royer’s new entry-level ribbon. The Royer Labs R-121 is perhaps the best-known passive ribbon microphone on the market. 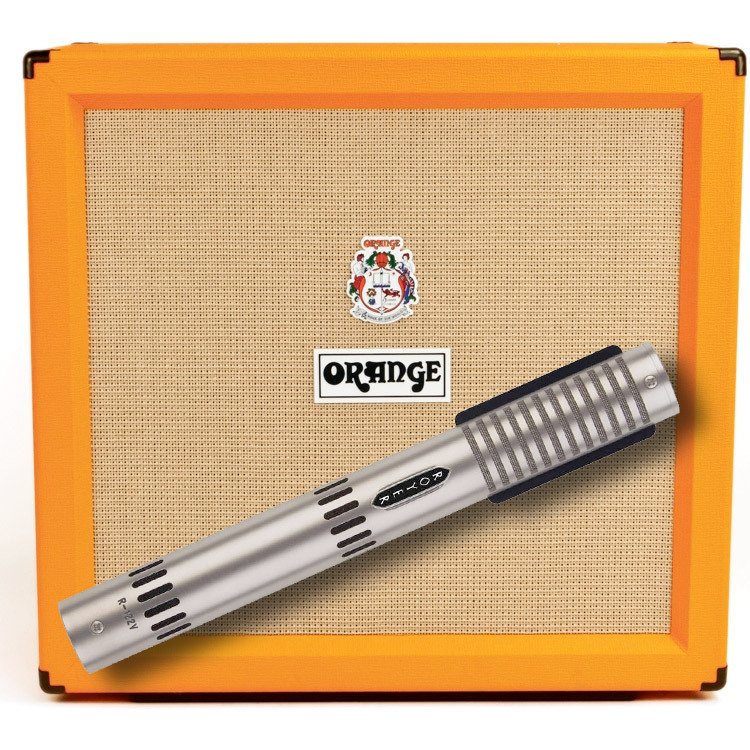 Iconic in design, it’s the mic that launched a thousand guitar tones. The Royer Labs R-122 is the active-electronics version of the R-121. It is a bit brighter-sounding than the R-121. The Royer Labs R-122V is the tube version of the R-122. The Royer Labs SF-2 had not been officially released when we conducted our tests, but John Jennings of Royer Labs loaned us a pre-production prototype. The SF-2 was eventually released in 2012. The Samar Audio Design MF65 pair shared the “scariest magnet” title with the 4038. These two mics, in the words of Corey Burton, would “pull the mustache off your face.” We had serial numbers 5 and 6, which differed only in the type of corrugation on the ribbon. We tested both mics on all sources (although we used them as a pair for the drum overhead test). The SE Electronics RNR1 is the result of the Siwei Zou/Rupert Neve collaboration; the mic has two Neve-designed transformers and active electronics. The SE Electronics Voodoo VR1 is sE’s passive entry-level ribbon. The SE Electronics Voodoo VR2 is the active-electronics version of the VR1. The Shinybox 46U is Jon Ulrigg’s latest handcrafted passive ribbon mic (built in Washington state). The Shure KSM313 is Shure’s two-voiced passive ribbon, formerly known as the Crowley & Tripp Naked Eye Roswellite. It is a dual-voice mic, with distinct front and back voices. We recorded both in our tests; they’re audibly different. The Shure KSM353 is Shure’s premium passive ribbon mic, formerly known as the Crowley & Tripp El Diablo. Like the KSM313, it has an indestructible “Roswellite” ribbon. The Sontronics Delta is an active ribbon designed primarily for live use, and for miking guitar cabinets. 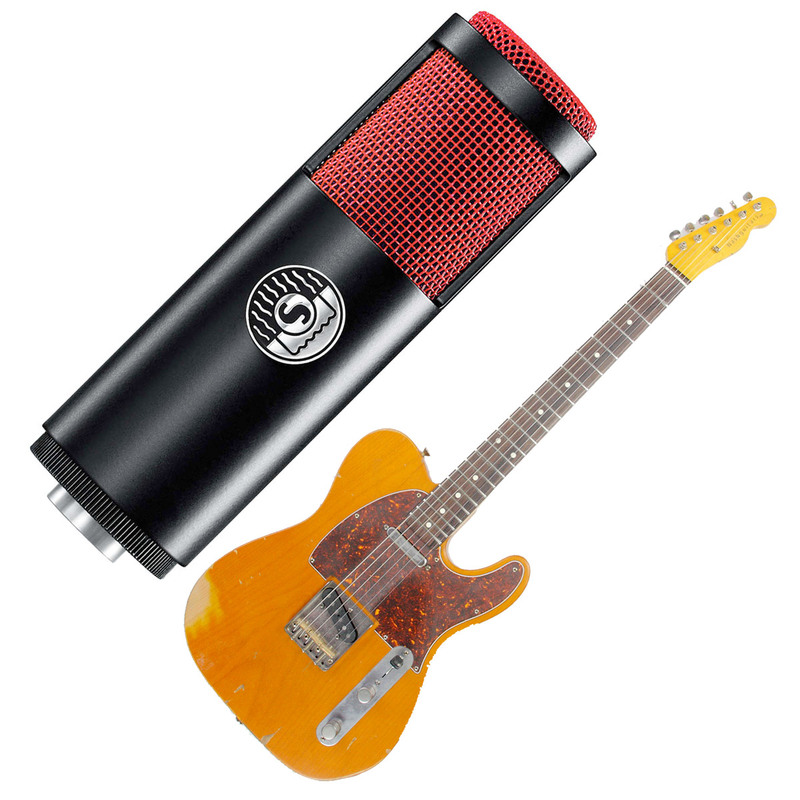 The Sontronics Sigma is an active ribbon with a vintage tone, suitable for quiet sources only. Total # of mics dropped none! Total # of ribbons blown none! We did not initially intend for this to be a comprehensive test, but once we’d gathered all the interesting ribbon mics we realized we were 95% of the way there. Given a bit more time and determination, I’d have liked to include the Peluso R-14 and the MXL R77L. Alas. Ironically, I learned in the 48 hours prior to this test of two new ribbon mics coming on the market soon. One is from Gauge USA, and the other from Bees Neez. I tried to get a sample of each, but neither vendor responded to my last-minute request. Which frankly is just as well, because we already had an obscene number of microphones to deal with. By the way, the inclusion of two unidirectional ribbons was not part of the original plan, but we are planning a Cardioid Ribbon test later this year — with an ML-19, KU-3A, KU4, and the Silvia SC-5C. Update: Here is the Cardioid ribbon mic shootout. Man, this is absolutely awesome! I will look over this stuff for days to come. The one mic you guys missed that I was looking forward to seeing in the test though was the Avent C-14. But that is such a small factor, I am really looking forward to hearing all the Royers and the Shure put against each other. This is most exciting! I want to say thank you so much in advance of everything being published. Having done some shootouts myself, I know how time-consuming and stressful it can be. I can;t imagine the hours you all put into this, and the number of participating manufacturers is fantastic! I’m surprised that the Russians were left out of this. I would have liked to see the ML-52-01 in there. Also a glaring omission is the legendary M160, although I suppose you might be focusing on bi-directional mics, despite the prescense of a couple uni-directional ones. I also couldn’t help notice the lack of Dual Medium type Ribbon mics in this test (CAD Trion 7000, Cascade DR-2, Apex 215 etc..) No Royer SF-1 either. A real shame the MXL R77L didn’t make it in. The R144 is only $100 and would have been cool to see here too. Shootouts are always more interesting when you throw in a couple of very affordable mics, because sometimes they have you in for a surprise. Lastly I’m very intrigued by that mysterious Royer proto. I saw it in the picture. Looks like a mono version of the SF-24/SF-24V! Looking forward to finding out what it is. Hey, I’m also curious as to the diferently-finished Woodpeckers. The metal parts on one are more satin-finished, and the other one appears to be gold-plated. Are they from different eras? I take it they’re not matched. I have 2 mxl r 44’s before they changed the numbering and paint scheme. We tried to get Oktava ribbons from Ken at Oktava USA, but he was not interested in participating. I asked some dealer friends too, but nobody had the mic in stock. The Woodpeckers were indeed not matched. Different woods, different finishes, different mics. The circuit boards looked the same, but the shiny mic was at least 2dB hotter, and crackled (electronic overload) during the guitar cab test. Good point about the lack of dual-medium ribbons. In retrospect, we should have had at least one. I am also very interested in this overview. There is also a new ribbon mic from beyer available, from which I would like to read some test results. They call it the V90r. Maybe you get them and enclose it in you testings. No Avantone CR 14?? I think you might have missed something good. Cool stuff, did you try the mics from Golden Age. R1 seems pretty cool and did really well in another shoot off. Won best of class in the low end. In the cardioid test, could you include an RCA bk5a? For historic reference? @alan – If we can find one, we certainly will! To me, the samples sound kind of dull, and yes, you’d expect them to sound that way since these mics are several db down at the high end according to their frequency response graphs. They SHOULD sound dull compared to a mic with a more accurate high end, and they do. If a microphone that is 20 db down at 20 Khz sounds better to you than one that is flat or has a db or two boost at the high end, just use either a decent condenser mic and turn down the treble all the way to -15 db, or use a dynamic mic with a similar drop off at the end — for a fraction of the price. If you carefully EQ’d these ribbons and the condenser mic you used as a reference to match their frequency response, they would sound much more alike, and maybe at times indistinguishable. Great work guys, thank you so much !!!! I really loved the shures mics. I was about to pull the plug on a Crowley & Tripp, just when they closed down… so I knew what these mics were up to, I’m just glad that Shure didn’t change anything in the design. 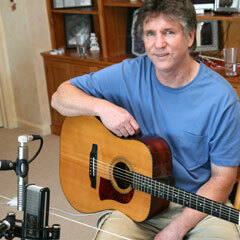 The 44rx and R-122V : wow… amazing mics !!! Fostex had a ribbon mic on the market a few years ago, but I’m not sure if it’s still available. Several months ago I saw an Electro-Harmonix ribbon mic for sale at a musical equipment store, though I remember it looking an awful lot like the Oktava ribbons, which makes me suspect it was a rebranded Oktava. I agree. There are valid reasons to keep a few dynamics in one’s mic cabinet, but outside of one or two stereo miking techniques, there’s no good reason that I can see for ribbons. I doubt that there is anything you can get out of a ribbon that you couldn’t get with a good capacitor mic and some EQ. What the “I own a mic for every occasion” guys are really doing is using mics as equalizers. That doesn’t seem like an economical approach to recording, but if you can’t or won’t use EQ, why not use a darker-sounding capacitor mic instead of a ribbon? I’ve been intrigued by ribbons ever since reading about them in a textbook 13 or 14 years ago, but never had an opportunity to hear one. Now that I’ve listened to samples and shootouts online, I can’t say I’m surprised everyone abandoned this technology when a viable alternative came along. The ribbon sound reminds me of what I used to get back in the 90s when my recording setup consisted of a Shure SM58 and a Fostex cassette 4-track. I’m puzzled as to why someone would spend four digits on a mic that makes them sound like that. You might as well run your tracks through a low-pass filter. My suspicion is that ribbon mics have made a comeback partly for reasons of nostalgia and partly because more people are realizing that bright capacitor mics and digital recording systems aren’t always the most musical combination. Analogue tape used to offset the harshness of some mics, but now that everyone has gone digital, there’s nothing to mask it. I think a lot of people are, either consciously or not, using ribbons to combat the sterility of digital, when what they ought to be doing is going back to analogue tape. People are using sampling rates of 96 kHz and above to record these mics that barely have a useable frequency response past 8000 Hz: why? To illustrate just how dark these mics are, on the Shure website, there’s a recording that was done with a KSM313 of a guy beating the hell out of a set of cymbals, and it sounds as though you’re hearing it through a wall, or with cotton balls in your ears. On YouTube, I noticed both B&H and Royer chose cello for their ribbon mic demos; I’m not surprised, since you wouldn’t be as likely to notice just how deficient these mics are in the upper frequencies with that particular instrument. I’m grateful for this shootout and others as it’s completely demythicized ribbon mics for me. You learn more from actually hearing the mics yourself than you ever could from the opinions of strangers on the net or reading regurgitated sales literature in magazines. I now know that there isn’t any magic or voodoo to ribbon mics. In fact, I’m left wondering whether I even like them at all. That said, I do still want a ribbon to play around with, as I find the technology interesting. I’ll probably cough up the $9.95 for plans for the do-it-yourself “Austin” ribbon mic, as I think that’ll satisfy my curiousity without breaking the bank, and leave me with a mic that I expect will be a good deal better than the Chinese cheapies. The samples the guy has up on his site are amazing, and they were done using mostly inexpensive preamps in acoustic environments that were less than ideal. Igor, I challenge you to listen again. If you’re not hearing anything above 8kHz, maybe you need a better listening environment. For example, the 44 has a lot going on at 12kHz. I’ll grant you that some of the low cost ribbons sound pretty lo-fi, but you can’t judge all ribbons from the cheap ones anymore than you could say all knives are terrible because a butter knife wasn’t very sharp. If the transfer function of a microphone was as simple as a static EQ curve, we’d all be fools to buy anything more than a cheap condenser mic. Even among condensers, the difference isn’t that simple, otherwise we’d need only one. Ribbons transduce sound in a fundamentally unique way — that’s why people use them. Trust me, if I could have matched a classic character voice using a $100 condenser mic and an EQ, we never would have dropped $4k on a 44. As Bruce Swedien says, microphones are the magic of what we do in the studio. Don’t discount ribbons too quickly. Try some for yourself. And be careful not to judge all ribbons based on a $10 DIY kit if you do that route. If you have never used ribbons, this shootout will do nothing for you. And, if you have never used ribbons, you have no idea how killer they are in the studio. I choose a ribbon over a condenser almost every time. They may seem dull by comparison, but I prefer to say condensers are far too bright. Your analysis of using condensers with tape and ribbons with digital is spot on. They are a perfect balance. The spectrum display in Cool Edit Pro and other software confirms what my ears tell me. I trust it more than I do you. I did notice the Shure KSM313 in a spectral analysis had some erratic activity in the 12 kHz range, but I still wouldn’t characterize the mic (in common with almost all other ribbons) as having good high frequency response. Are you seriously arguing that ribbon mics have a better high frequency response than capacitors or even the average dynamic? It has nothing to do with cost. It’s a problem inherent to ribbon technology. The Shure ribbon mics, at $1300 and $2600 street, are anything but cheap, yet they both have piss-poor high frequency performance, as do all or nearly all ribbons. That piss-poor performance is what some people like to call “warmth”. All ribbon mics share some characteristics, just as all butter knives do, and it is therefore fair to make generalizations about them. “Butter knives are not sharp” — there is nothing inaccurate about that statement. Well, I’m far from convinced that the majority of “audiophiles” aren’t fools, or don’t suffer from a compulsive disorder that makes them spend obscene sums of money on overpriced gear they don’t need, and I don’t understand why you’re stuck on “cheap condenser mics”, since no one here has said anything about “cheap condenser mics” or said (or even implied) that all microphones sound the same. I will, however, unequivocally say that the differences between microphones of similar type aren’t nearly as important to the final product as the average gear snob makes them out to be. I doubt anyone reading this could listen to an album they didn’t know anything about and accurately say which microphones were used to record it. How do you know that you couldn’t get by with only 2 or 3? I know they do. And the end result isn’t impressive. Studios ditched this technology en masse for a reason. Some people like to do Civil War reenactments. They’re necessarily going to pay more for their uniforms than I would for a pair of blue jeans and a T-shirt. Does that mean their uniforms are better? And who said anything about a $100 condenser? You’re pretty hung up on price, aren’t you? The key word there is “magic”. I don’t believe in magic. 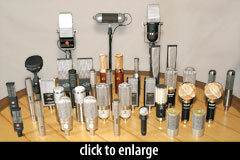 Microphones are designed by engineers, not witch-doctors. If you want to waste your money on hocus-pocus, well hey, that’s your call, it’s your money. I haven’t tried a lot of things. Mortality and a finite bank account prevent me from trying everything there is to try. But I can make educated guesses as to which pursuits may be worthwhile and which are not. 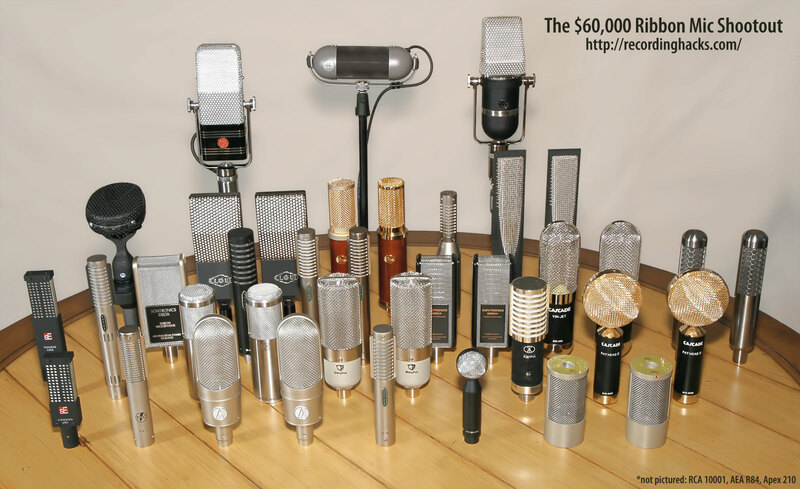 The sound files I have listened to both here and elsewhere have told me far more about ribbon mics in just a few hours than I could ever learn from mic collectors with a vested interest in preserving the value of their collections. Besides, I ended my previous post stating that I would try a ribbon mic, so your telling me to try one was totally unnecessary. The kit is actually closer to $200, maybe more depending on the transformer you choose. It’s the plans that are $9.95. Now, how can you possibly judge the merit of this microphone if you not only haven’t built one yourself, but haven’t made the slightest effort to even inform yourself about it? Face it — you’re a gear snob. None of your opinions are based on controlled, blind listening tests; they’re based entirely on the supposition that whatever costs the most, must be the best, and that what you and your peers hear, must be the truth, even if it’s contradicted by objective measurements. You’ve spent a crapload of money on mics that you imbue with magical properties and you’re finding it hard to accept that a more rational person refuses to bow down before your voodoo idol. Hey, if $4000 ribbon mics turn you on, have at it — just don’t expect me to share your enthusiasm, or to pretend that I’m hearing something that isn’t there. 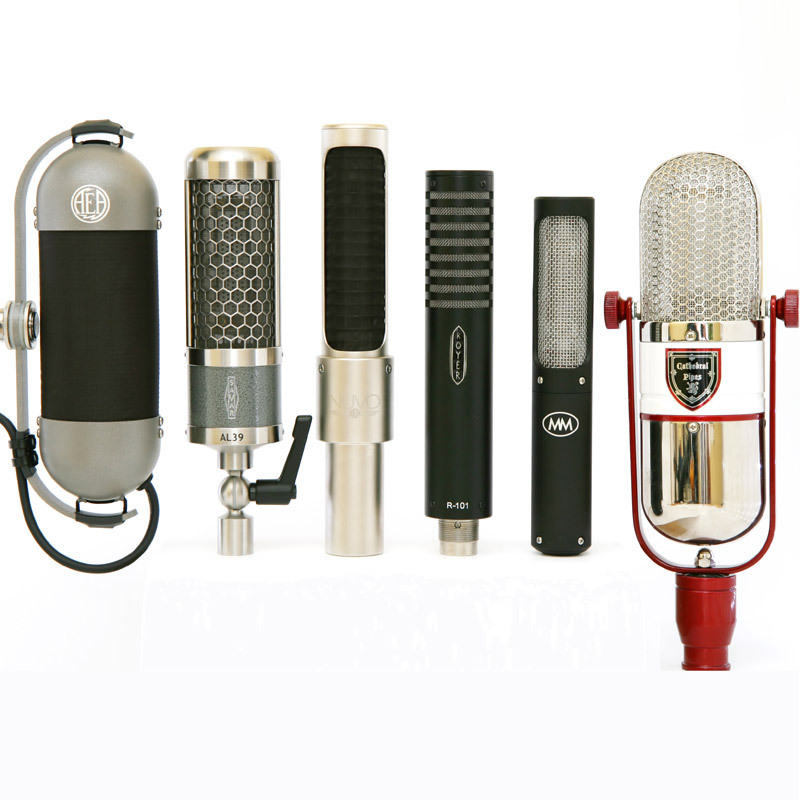 If I thought ribbon mics were special, believe me, I wouldn’t hesitate to drop 4 grand on one. But they’re not, and I can think of better things to do with my money, particularly in a time of recession. That’s reasonable, and I can’t argue aesthetics. Some people seem to be questioning the validity of these online listening tests. While it’s obviously better to try a mic firsthand, the problem is that, unlike 10 years ago, there are an overwhelming number of ribbon mics on the market today and it can be difficult to decide which one to buy. Tests like these are an invaluable resource for helping to make that decision. I’ve heard it said by a couple of people here that now that they’re using ribbons, they would never use a capacitor mic. Well, in those shootouts I’ve listened to where the person included recordings done with capacitors and dynamics for comparison, I invariably chose those over the ribbons, even when doing the test blind and repeating it hours later on different playback equipment. I sometimes had trouble distinguishing between the dynamic and capacitor recordings, but I ALWAYS recognized the ribbon ones because they sounded so BAD. I’d say that’s a strong reason for me to avoid spending a lot of money on a ribbon mic, and I can’t help but question the motives of someone who would advise me to do that in spite of what I hear. Cool that you included a KU3a, but there’s almost zero opportunity to buy one, while 77’s and 44’s are available constantly, so it’d be useful to have them in the mix. Unrestored ones still seem to exist in pretty large quantities, and a certain elderly wizard whose initials are Clarence Kane (whoops!) can make them like new again most reasonably. It’s a public service, restoring these, as well as a great tool, and a decent investment. As soon as you said “Cool Edit Pro” you immediately labelled yourself as an amateur recording enthusiast at best and every other comment you made was completely and utterly moot. Have fun with your Nady condensers and ART preamps. Wow, Igor’s I’m a trolling angry broke dude who resents anyone who can buy or HAS EVER HAD THE CHANCE TO USE AND LEARN ABOUT DECENT GEAR schtick gets funnier each time eh? EH? WTF did a ribbon mic kill your father? Chill out dude. People’s ears are differen, and some are terrible(although you’d have a pretty tough time convincing me that every engineer I’ve ever worked with has terrible ears and yours are somehow VASTLY superior). Do you like music? Have you ever sat in a decent room and listened to a decent source? Tried to reproduce that sound? I would hope so, but your INSANE commenting leads me to believe otherwise. Oh, and the spectrum display in Cool Edit Pro didn’t sound like anything the last time I checked…IN 2002. I noticed that this was done in June 2011 and it said that results would be posted in December. I clicked on the results and nothing came up. Is there a link? Sooo, what happened to the cardioid ribbon shootout? And besides the mentioned RCA BK5 (of which about 2 dozen have recently changed hands on ebay) how about the Matshushita clone of the BK5 or the Oktava ML-17 or the Shure 330,33,333 ribbons. @Mike, the session happened about 10 days ago. The written review will be published before AES SF. We had the Silvia SC-5C, the AEA KU4, a restored Shure 330, a restored Oktava ML19, two models from Samar Audio, and a vintage RCA 77DX from Wes Dooley’s collection. The most important part of recording a song is the quality of the song itself and the quality of the person or people performing it. We all claim that we agree on this, but then we start bashing equipment that we prefer or don’t prefer based solely on our own experience, even claiming that the equipment such and such prefers is useless or crappy at best. And I’d just like to say that anyone with this attitude is acting absurd. At the end of the day, no one who enjoys music cares how you made it: they just care that you did and did well. Arguing between condensers, ribbons, or dynamics is like arguing between dress shoes, boots, or sneakers to walk around. DUH. They each cover your individual, unique feet and protect them from the elements. Being willing to learn from each other and/or even appreciating how another person uses different tools to craft a good sounding result in the end is such a crucial attitude to have, or we cease to grow. And no, there is no “magic” in how a microphone works. It’s just physics, right? But there is most definitely the magic of our entire universe, that physics exists at all, that we can hear at all, that people have bad amazing ideas on how to built equipment to capture and reproduce sounds that can help us survive in a hurting world, and even that we are breathing one more breath. This isn’t just romanticizing life; life is a miracle and a mystery. So let people use what mics they prefer. Let them be excited to share what they’ve learned. And let your fear and your prideful guard down a little so that maybe you can enjoy living and laughing a bit more. Or is the opposite worth it to you just so that you can belittle another person’s enjoyment of a thing you’ve never liked? Let it go. Be better to yourself and better to each other. Let’s all make better music together, each in our own ways. I love my friends 4038’s. We’ve used them on entire orchestras with ridiculously good sounding results. Yes, we lifted the highs with a Neve or Pultec in post. I love dynamics… D12, SM7b, RE20, Beta 58, SM57. They each have their purposes for me, and I appreciate this! I love my tube and non-tube based condensors. Love them on vocals. I love my compressors. And I love not using them at times as well. There’s no right or wrong way to do stuff so long as it sounds good, you’re doing it with care, and we’re being here for each other. I agree with Igor. I was in a guitar shop and the salesman had me close my eyes as he played two guitars. One was $200 and the other was $3000. I liked the sound of the $200 and he told me that I was unrefined and had no idea what “good” sounded like. He was really pissed and kicked me out of his shop. I have been recording for over 30 years and the number one factor I have found that makes a great recording is… a great musician. In the 20’s and 30’s they had lo-fi equipment but turned out great recording because the musicians had to be excellent as there were no over dubs. The sound quality was not great but the music was. I recently recorded a song with bass, vocal and a Yamaha guitar I bought for $179. I recorded it in stereo with a capacitor mic on the neck and a Cascade Fat Head a little back. The guys at the music shop were blown away at how natural and open it sounded. It’s because I know how to play guitar. And I also know how to place mics to get the best sound and mix with the equipment I have. I had a gentleman come to my studio and I put him on a U-87 and he did not sound good. I put him on a SM58 and he sounded great. We recorded the entire album with the 58. I was in training with 25 other sound engineers and we had to critique each other mixes. Everyone had something critical to say about everyone else’s mix. What we learned was everyone had a different idea of how something should be mixed. I like a lot of bass. Some don’t. Ribbon mic’s have a place if mixed correctly. Personally I think they sound flat and dead. I almost always mix them with a capacitor. It all comes down to taste. The one factor I see missing in all the dialog posted is probably where the real difference in microphones is actually significant. Texture is the key word. All microphones do the same thing in different ways. Ideally they have a flat extended response or a tailored curve for particular applications. Flavor is something that can’t be measured. It’s not a matter of dark or bright or flat. The texture of a ribbon microphone can’t be duplicated by any other type. Condensers are great for detail and dynamics are great for a clear and punchy delivery. A ribbon microphone provides an intimacy and a natural character which is very flattering particularly to the human voice and wind instruments. My only analogy would be that it’s like comparing the difference between water color, oil and acrylic paints. Each is best suited for which ever mood and impression you intend to express. Cost is only an obstacle. Value is in desirability. @Rick – very well put! @Schutztaffel – it has been my experience that the quality control on all the super-low-cost ribbons is so variable that there is not really any point in reviewing the mics. If I get a good one, and review it well, half the readers who buy one based on the review would get what is essentially a different, and much less good-sounding mic. I bought two cheap ribbons recently; one had such a loose ribbon that it sagged against its protective screen. That mic sounds terrible. But it isn’t representative of all such mics. The engineering argument gets really old quick. Have you developed perfect pitch Igor? If so put that human ability through an oscilloscope, or any other visualization method and tell me visually a C from a F sharp. I have yet to find an engineer that is able to demonstrate that (what would that accomplish anyway). After all that ability combined with timber recognition, dynamics, rhythm/pulse, etc. gets instantly processed by the human computer in a most un scientific way to produce great works. To me this ability indicates that there is a human ability that I would call the art (not the science) of hearing (e.g. recognizing the pitch of a note by ear alone). Or maybe a cheaper set of ears could do it even better? Seriously there is a lot of equipment for many uses as well as here are different people choosing a different piece of equipment making different sounding recordings. I always follow some simple rules when choosing recording equipment. 1. Impression: The piece of equipment that allows me to record the material in the most relaxed way. I will always choose the microphone that is more relaxed over frequency content (within reason according to my preference “not science”). The most important characteristic to me of ribbon technology is its ” relaxed” abilities (ribbon recordings take eq well). 2. frequency content: I try to collect as much of the instruments frequencies and dynamics as possible. But what good is that if the equipment is straining? 3. Maintenance: maintaining equipment uses time and energy. I am also talking about cheap equipment here! 4. As the above points impress on the end users subconscious by relaxing or exiting/aggravating ones ears (via the recording process alone). Why make a good song fight a recording process that is not pleasing (I wish the signal-chain was better back then when they recorded Edit Piaf). Rick Hagerty – Your post on the overlooked subject of texture is exactly what led me to prefer the ribbon mic in the studio over some condensers that sounded great on their own, but suffered in direct comparisons. Igor’s supposition that EQ can cure all should have been all we needed to read of his rantings to understand what his wasted space and breath was worth. But then the postings by Miles and Jason Miller hit the nail on the head better than I could. Back to the subject at hand, texture is what has me once again considering putting a ribbon mic onstage with me, based on the results I noticed in the studio, and while the mics are much more advanced, for lack of a better word, than what I’ll be using, the enjoyment of the journey is part and parcel of world of music. Perhaps someone already mentioned this, but I recently discovered the cure for low-output ribbon mics. A friend turned me on to the Cloudlifter box a few months ago and it was an unbelievable find. It’s a box that looks like a direct box, but it boosts your signal by 20+ db’s without adding any noise! It requires phantom power to work but it does NOT pass this along to the microphone. I recently recorded a grand piano with a pair of Beyer M160’s through a Cloudlifter CL-2 (a two channel version, CL-1 is the single version) and the sound was absolutely beautiful. And verily I say unto thee, there is no added noise, and you don’t have to crank your preamp! This unit is also very good for low-output dynamics on soft sound sources, like an EV RE20 or (I’ve heard) a Shure SM7 with a quiet singer. Igor obviously has a bone to pick re: spending money on studio gear. Yeah, quality stuff costs money, and more often than not, you get what you pay for. That’s not to say you can’t get great results with inexpensive stuff… but as everyone agrees here, it’s all about the song and the performer more than anything. But once you have that, wouldn’t you also want the best possible tools to capture that? That’s what expensive stuff does for you. I can’t fork out $4k for a single microphone–ribbon or condenser–but I will fork out $1300 for a Coles 4038 as it’s the absolute best drum room mic I’ve found. It adds a heft and a floppy goodness to toms that no other mic can add! @Stephan, I’ve been a fan of the Cloudlifter for years. I wrote one of the first reviews of it, actually. I think it is a must-have accessory for anyone who uses moving-coil dynamics or passive ribbon mics. I saved this page and was hoping to refer to the ribbon mic shootout, but some files didn’t play, and I don’t see where I can find out which mic is which. Can you please help me here, this is an important resource to me, thanks. FYK, apart of the Cloudlifter, Triton Audio from the Netherlands manufacture the FetHead (+27dB of gain) http://tritonaudio.com/index.php?option=com_content&task=category&sectionid=4&id=17&Itemid=33, and don’t forget the excellent Sanken HAD-48 (+40 dB of gain, if you please) http://www.sanken-mic.com/en/product/product.cfm/4.1005600. But all this is not new stuff, back in the beginning of 70s Nagra/Kudelski used to manufacture the QPLE plug-in preamp especially for the Beyer M160/M130 microphones (approx. +20dB & an excellent Nagra transformer).